Based on reviews from 295 experts and 109,029 users. Learn how our rankings work or see our guide to Asics running shoes. Updated Apr 2019. Asics has become a popular name in the running industry known because of its durable, comfortable, and high-performing road and trail running shoes. Producing reliable running shoes, the brand is in close competition with other big brands like Adidas, Nike, and New Balance. Learn more about the brand and check out its popular running shoe models that are available in men's and women's versions. Find out how Asics running shoes perform based on reviews and compare them to other brands. The Asics brand is a relatively popular name in the shoe industry, and many people are fond of the brand. Yet, not a lot are familiar with the company’s background and history, or even where the name is derived from. In 1948, Kihachiro Onitsuka started his journey into the world of footwear inside his living room, where he was first manufacturing sneakers for schoolchildren. A year later, he expanded into producing basketball shoes, and has decided to start his own shoemaking company – the Onitsuka Co., Ltd. Back then, Onitsuka only had four employees and roughly 1000 dollars as capital. Needing inspiration and motivation, Onitsuka turned to his former comrade Kohei Hori, who told him that he should “pray to God for a sound mind in a sound body.” These words made a significant impact on Onitsuka, and he later used them as the guiding principle in making shoes: the best way to create a healthy and happy life is to entirely promote health and fitness. As far as products are concerned, Onitsuka chose to craft basketball shoes because these were the most difficult to manufacture back in those days. His first pair of basketball shoes was released in 1950, featuring a tiger’s face embossed on the outsole. This tiger would go on to be the face of the company for many years, as a brand name called Tiger Mark. The first basketball shoes were followed by the release of their first volleyball shoes, and then tennis shoes, both of which happened in 1952. The remainder of the 1950s saw an influx of releases of various other athletic shoes, including ones for golf, gymnastics, dancing, wrestling, and skiing. Tiger Mark running shoes, in particular, made its way into the scene in 1957. Fast-forward to 1977, the Asics Corporation was founded as a result of a merger that included Onitsuka Co., Ltd. The Asics Corporation was built to be a general sports equipment manufacturer. The name of the company is an acronym that means “Anima Sana in Corpore Sano,” which is the Latin translation of “a sound mind in a sound body,” the company philosophy that was established many years back. Today, with their motto intact, Asics Corporation anchors their mission to it, which is to develop to be the number one brand for the sports enthusiast. Asics strives to achieve this by ensuring that every product, concept, or idea will result in the best outcome – bringing harmony to the body and soul. The Gel is perhaps the most prominent technology created by the brand. Almost all of Asics running shoes consists of the Gel technology as one of the features. But what exactly is it? As the name implies, the Gel is a soft material inserted into the midsole of the running shoe, and it intends to absorb shock and protect the foot. Gel starts out as a collection of inert polymers that are bound together to form silicone. Once it is created, the Gel unit is inserted within the high-wear areas of the midsole – the forefoot and the rearfoot – and each one has their own contribution to the Asics running shoe. The forefoot unit effects by enhancing the level of shock reduction during forward movement, while the rearfoot one decreases the impact during heel strike, which results in a smooth transition. As the Gel does its work, the wearer experiences an increased amount of comfort, particularly during long distances. The soft and malleable qualities of the Gel material allow for strategic placements for optimum performance. The Gel technology proves to be especially useful for Asics running shoes; a runner’s stride delivers a force that is 3-5 times more than their body weight, and Gel helps reduce this amount by absorbing the impact. The result is a comfortable ride and one that is away from potential injuries. The Impact Guidance System, or the IGS for short, is a design philosophy that allows the Asics running shoe to have a dynamic and adaptive stability. Using the structure of the midsole, IGS enhances the foot’s gait cycle into a more natural one. Because the Impact Guidance System is only a starting concept, it makes use of other supplementary, tangible components of the shoe to fulfill its duties as a fatigue-reducing, shock-absorbing, and injury-preventing feature. Some of the technologies that work hand-in-hand with the IGS are the Guidance Line and the Trusstic System, both of which would be briefly discussed below. The Guidance Line is usually seen from the outsole of the Asics running shoe as an individual flex groove. It runs vertically across the length of the shoe from the forefoot to the heel. The Guidance Line makes use of the IGS mechanism to improve the gait of the runner and therefore produce a more comfortable running experience, especially for beginners. The Guidance Line allows the center of pressure to be concentrated in itself so that each stride is stable, consistent, and balanced. Additionally, the Guidance Line focuses on the importance of the flat-foot to propulsion phase during braking and accelerating, where forces are at their peaks. Guidance Line prevents injuries during these moments with its steady load and motion. Usually acting as the partner of the Guidance Line is the Trusstic System, which comes in the form of a resin shank installed in the center of the midsole area of the Asics running shoe. This structure promotes stable foot movements by reinforcing the midsole and preventing unnecessary twists and turns. The Trusstic System allows energy to be channeled accordingly to result in forward propulsion. It has a unique shape that makes it flexible, thus enabling it to move according to the actions of the foot. This quality also diminishes the weight of the sole unit without sacrificing its structural integrity. A modified version of the Trusstic System, called the Propulsion Trusstic, mirrors the functionality of the ligaments to make the foot more flexible and allow the Asics running shoe to absorb more shock. This action results in a firmer forward propulsion for more spring with every stride. Seen mainly in Asics running shoes for overpronators, the Dynamic DuoMax is a wedge unit that works in reducing overpronation. This feature is partnered with a special, dual-density midsole foam – typically the FluidRIde - that maintains the stability of the runner. The combination results in a seamless heel-to-toe transition. Ultimately, the Dynamic DuoMax reduces the stress on the foot and gives it an adequate amount of support for a comfortable ride. The FluidRide is the resulting technology of the combined efforts of two of Asics’ midsole materials: The Solyte and the SpEVA. The philosophy behind FluidRide is that muscle strain is reduced when there are adequate rebound and shock absorption in the midsole, thus improving performance. To achieve this, Solyte absorbs the impact during heel-strike, while SpEVA provides the necessary bounce needed for toe-off. The FluidRide midsole gives the Asics running shoe a dual-density middle layer that achieves shock absorption, rebound, and lightness all at the same time. Usually, but not always, partnered with the FluidRide midsole tech is the FluidFit upper. This unique technology gives the mesh upper of the Asics running shoe with an improved responsiveness to the movements of the foot while retaining a comfortable fit. 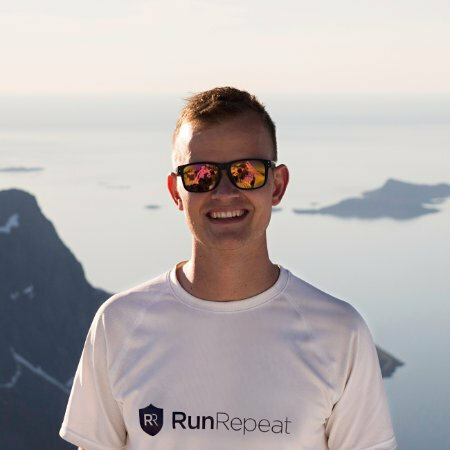 The FluidFit presents a two-part structure: A reinforced, non-elastic portion that keeps the foot stable, and an elastic one that increases the running efficiency. Most of the running shoes from Asics employ the HG10mm technology, which means the heel-to-toe drop is 10 mm. With this structure, the bending form of the leg during forwarding motion is influenced. Initially developed for soccer and rugby shoes, the use of the HG10mm technology usually means there is a midsole sponge that reduces the load on the legs during heavy activity. In Asics running shoes, the HG10mm intends to promote comfortable mobility. The brand’s Heel Clutching System is a technique that gives Asics running shoes an improved fit, especially at the heel area, by restricting displacement. Heel displacement occurs when there is a gap between the shoe and the heel of the foot, resulting in a weak running performance. The “clutching” mechanism done by the technology enhances the stability of the foot and the performance of the runner. In most Asics running shoes, the Heel Clutching System comes in the form of a resin unit that is inserted in the heel. Curiously, each shoe features a Heel Clutching System that fits a variety of foot shapes and widths. An acronym for Asics High Abrasion Rubber, the AHAR is an outsole material that gives the Asics running shoe an exceptional strength. Made of sturdy carbon rubber, the AHAR is usually strategically positioned in the high-wear areas of the shoe, such as the heel and forefoot, to make it durable and to protect it from wear and damage. A variation of the AHAR has also been developed by the brand, called the AHAR+, which claims to be three times more resistant to abrasion than conventional rubber. It also has a sponge-type consistency that makes it half as lighter than other outsole materials. Another underlying purpose of the AHAR outsole compound is to lessen the environmental waste by being a durable material, resulting in a longer lifespan and, therefore, a prolonged usage. Most, if not all, of Asics running shoes have a sole unit that includes SpEVA. This special midsole material is made from a blend of ethylene-vinyl acetate (EVA) polymer and rubber ball compound, both of which provide a dynamic quality – the result is a one-of-a-kind midsole component that could be used for different shoe shapes and locations. The idea behind SpEVA is to produce a new kind of midsole element that is better than the standard EVA foam. The SpEVA material offers a shock-absorbent unit that does not sacrifice rebound capacity, therefore giving the Asics running shoe a high-performing quality. Another midsole component that is present in Asics running shoes is the Solyte foam. This feature is made from resin, which is known for its shock-absorbent quality. Resin also possesses a strong foaming ability but not as heavy as the regular EVA sponge. Asics running shoes that utilize the Solyte are guaranteed to be lightweight, and they also intend to absorb 20% more impact compared to other running shoes with regular foams. With all the unique qualities of the Solyte, the Asics running shoe it services has a consistent functionality in a lightweight package. A third midsole material from the brand is the Flytefoam, a groundbreaking foam that claims to be 55% lighter than the industry standard. Aside from being ultra-lightweight, Asics running shoes with Flytefoam have an adaptive cushioning that stays consistent from beginning to the completion of the run. The Flytefoam starts out as a collection of organic “super” fibers that have a highly-responsive quality, which, in turn, makes the midsole bounce back into its original shape in each gait cycle. With such an engineered resilience, Asics running shoes that have Flytefoam are more durable, enabling a stronger and more long-lasting cushioning. What makes Flytefoam unique is its adaptability – it caters to many types of runners, as evidenced by its usage in a variety of Asics running shoe models. Though some shoes have different features and structures than others, the Flytefoam benefits them all in one way or another: it could provide optimal comfort, a responsive ride, a stable platform, or a customized fit. 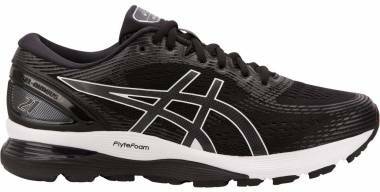 The Gel Nimbus is the leading Asics running shoe that is designed for neutral pronators. It has a particular structure that makes it a top performer in long distances, due to its maximum cushioning and bounce that is brought by several Asics technologies present in the shoe. Currently in its twentieth iteration, the Gel Nimbus is in its lightest, most comfortable and most premium version yet. Which is just fitting, with Nimbus being a Latin word meaning “cloud,” and runners should expect a ride that feels as if they are running on clouds. The shoe’s unique and accommodating construction allows a natural stride and an enjoyable experience for runners of all body frames. What sets the Gel Kayano apart from the other Asics Gel models is the structure of the Gel cushioning in the shoe. They come in large portions in the high-wear areas to serve heel-strikers or those who are heavy-footed. The Gel Kayano could be considered as Asics’ flagship shoe in terms of materials, construction, and technology. In its twenty-fifth release, the Gel Kayano includes a newly-sourced midsole, a redesigned upper, and an overall robust structure all working together to bring a luxurious running experience that is undeniable of an Asics running shoe. Another shoe for neutral runners, the Gel Cumulus is perfect for everyday running as it provides a combination of cushioning, durability, and comfort. As its name implies, the Gel Cumulus is the most cushioned, therefore, softest, shoe from the brand. It differs slightly from the Gel Nimbus model in such a way that the Gel Cumulus could be considered as the “little brother” of the Gel Nimbus. The Gel Cumulus has fewer Gel cushioning, and thus feels firmer underfoot compared to the Gel Nimbus. This structure makes the shoe more suitable for maintaining the neutrality of pronation. The current version of the Gel Cumulus, which is the twentieth one, features a more robust platform and a softer cushioning. It does, however, maintain the structure and silhouette that has been standard for the previous versions of the Gel Cumulus. Like all of its earlier adaptations, the Gel Cumulus is the perfect Asics running shoe for runners of long-distances, who focus more on physical form rather than record time. The GT series from Asics is a range of stability running shoes that emphasizes on providing support to the runner, with features of increasing degree; the GT 3000 is considered to be the most “premium” or the “top of the line” among the three models. Starting with the GT 1000, this Asics running shoe is the most basic one in the GT series. It features the brand’s DuoMax system and SpEVA in the midsole that gives the runner great stability while on the go. Despite the GT 1000 being the entry-level shoe in the GT series, it continues to impress users, as proven by the comments about the seventh and latest iteration of the shoe. The GT 1000 7 has been applauded for its dynamic stability features and durable materials. Next in the series is the GT 2000, an Asics running shoe with a fit and feel that is just slightly better than the GT 1000. Also a stability shoe, the GT 2000 focuses more on a snug and secure fit, where the GT 1000 is geared more towards an easy and straightforward ride. In its sixth version, the GT 2000 delivers its lightest and most cushioned package ever, guaranteeing a livelier step. Runners have praised this Asics running shoe for its overpronation control, arch support, and minimal weight. The last model in the GT series is the GT 3000. This running shoe from Asics has been positively reviewed by users in terms of design, versatility, and comfort. What sets it apart from the two other shoes in the series is its ability for flawless transitions and consistent stability on long-distance runs without sacrificing cushioning. Now on its fifth version, the GT 3000 gained favorable responses on its practical arch support and balanced cushioning. The Gel Quantum series are two Asics running shoe models, whose names imply the amount and positioning of Gel cushioning in the midsole. These two shoes are designed for road running, and they cater to neutral pronators who are fond of running on a daily basis. The Gel Quantum 180 utilizes the Gel material through a 180-degree placement in the shoe, which is similar to most Asics running shoes with Gel cushioning, in the rearfoot and the forefoot areas. The Gel Quantum 180 promotes a smooth and more balanced stride, and with the use of the other Asics technologies, it is able to produce an efficient shock-absorbent system and a seamless, comfortable fit. Now on its third version, the Gel Quantum 180 continues to amaze consumers with its performance and in-shoe feel. Meanwhile, the Gel Quantum 360, in contrast to the other model, has 360 degrees of Gel cushioning throughout the midsole. This design is intended for a balanced, consistent, and all-around combination of high performance and maximum comfort. With such a structure, the Gel Quantum 360 allows for plenty of impact absorption, therefore enhancing comfort for everyday runs. In its fourth rendition, the Gel Quantum 360 brings an ultra-lightweight midsole while retaining the Gel® cushioning in all its glory, thus ensuring the highest level of comfort. Its glove-like upper delivers the most secure hold among all the iterations of this Asics running shoe. The FuzeX is another Asics running shoe model that was created with the goal of providing a running experience that is speedy, thrilling, free, and fun while ensuring an efficient performance through the use of breakthrough technology. The FuzeX claims to deliver a “seamless fusion” between the runner and the shoe, allowing for a problem-free ride and letting the runner relish each step without the worries of pace or distance – just running mainly on impulse. The unique running experience offered by FuzeX is thanks to the proprietary FuzeGEL material from the brand, which is a combination of Gel technology and foam that results in a lightweight and adaptable midsole. FuzeGEL focuses on rearfoot shock absorption, which then translates to forefoot bounce back. With its one-of-a-kind componentry, FuzeGEL delivers a so0ft and cushioned heel that is partnered with a firm and responsive forefoot. Currently, the FuzeX line comes in a few models: the FuzeX Knit, a powerful road-running shoe that is built with an adaptive knit-material upper for a seamless look; the FuzeX Lyte 2 presents a minimalistic package that boasts of a responsive cushioning and a smoother ride. Runners have praised this shoe for its structure and performance. Meanwhile, the FuzeX Rush Adapt is an Asics running shoe that utilizes the Adapt Mesh technology, an upper fabrication that provides support and flexibility for an unrestricted fit. Users were mostly pleased with this competition shoe because of its price and aesthetics. Last but not least in the FuzeX series is the Asics FuzeTora, a lightweight running shoe that gives the efficiency of a running shoe and the sensibility of a lifestyle shoe. While it focuses on flexibility and stability, this Asics running shoe shows a secure yet minimalist structure via the Mono-Sock technology fit system, which is an elastic sleeve that provides a sock-like fit. Wearers of the FuzeTora welcomed its street-ready design and seamless construction. The Noosa line of Asics running shoe is specifically designed for the triathlete. It makes use of particular features and technologies that work their best when used in triathlons and other similar physical activities. At present, the Noosa line carries two models of running shoes: the Noosa FF 2 and the Gel Noosa Tri 11. The Noosa FF 2 is the forerunner of Asics running shoes for triathletes. Making use of the revolutionary FlyteFoam technology, the Noosa FF 2 manages to deliver a responsive and lightweight ride, as well as a seamless upper construction that permits a sock-less wear. This shoe was well-appreciated by runners because of its breathable upper that offer adequate coverage, and an overall durability that promised longevity. On the other hand, the Gel Noosa Tri 11 presents an energetic aura as an Asics running shoe that promotes constant and consistent movement, especially for overpronators. Like the Noosa FF 2, the Noosa Tri 11 also has a seamless construction in the upper and a Wet Grip outsole that enhances traction on wet surfaces. Users and reviewers of this shoe left favorable remarks on its weight, convenience of wear, colorful design, and durability. As the name implies, the Lite-Show series brings to the market a collection of Asics running shoes that feature a unique reflective technology. This concept stems from the idea that safety while running is essential, even more so during early mornings or late nights – when the surroundings are dark. The reflective materials used in Lite-Show shoes work by bouncing light back directly to its source, no matter the position. These materials are also a permanent part of the thread, which means it would not wash out or deteriorate over time. The shoes that are part of the Lite-Show series are usually existing models that have been redesigned or upgraded to include the reflective features that make it a Lite-Show variant. For example, the market’s current line-up of Asics running shoes in the Lite-Show series comprises the Gel Kayano 25 Lite-Show, Gel Nimbus 20 Lite-Show, Dynaflyte 3 Lite-Show, and the GT 2000 6 Lite-Show. Aside from running shoes, the Asics brand name also produces footwear that falls under different categories of physical or athletic activities. These include training shoes, volleyball shoes, tennis shoes, track & field shoes, wrestling shoes, and training shoes. Apart from the Asics trademark, the Asics Corporation has two more brand names under their belt, the Onitsuka Tiger and the Asics Tiger. These two brands focus on manufacturing lifestyle footwear, particularly sneakers. The Onitsuka Tiger brand, initially, was the forerunner of Asics Corporation, and all the pioneer products of Asics were marketed under this brand name. Thus, the Onitsuka Tiger has lived on to become a classic, timeless name, and is now used as the brand for vintage-style sneakers that combine Japanese heritage and modern flair. The shoes are usually created in collaboration with artists and cultural connoisseurs. In contrast, the Asics Tiger brand name features lifestyle shoes that have a modern design, with styles and silhouettes that mimic sports footwear. However, like Onitsuka Tiger, the sneakers from Asics Tiger are largely influenced by Japanese fashion and tradition. The shoes under this brand name also make use of a combination of Japanese sports technology and global street style. Does Asics have the best running shoes? To many people, especially athletes and running enthusiasts, the Asics brand has always been considered to have an innovative approach to their running shoes. The running shoes from Asics are still well-regarded as functional, high-performing, and of exceptional quality. To say that Asics produces the best running shoes would be a subjective statement, which some may not find entirely agreeable. Therefore, it would be more applicable to say that Asics running shoes perfectly fit the criteria that are set by a particular group of runners. For example, the unique Gel technology of Asics running shoes win the hearts (or feet, rather) of consumers who want more shock absorption and stability in their stride. The focus of most Asics running shoes on cushioning and support make them the ideal choice for heel strikers, underpronators, or runners with high arches. How did Asics manage to be very popular? Like many other brands, Asics was able to achieve name recall with consumers through the years, with the use of various marketing techniques that are tried-and-tested. Some of these ideas include cooperating or affiliating with well-known individuals, most of which would likely be athletes or runners; some would be lifestyle influencers, while some would be cultural movers. Such partnerships are mutually beneficial: For example, Asics would sponsor athletes with running shoes or other gear, which would then get them noticed. As a result, Asics running shoes are introduced to its target market. The success of this move depends on several factors, like the popularity of the influencer, the size of the market, and their economic stature. There have been reports that the first athlete who was able to get Asics into noticeable territory was Dan Gable, a wrestler who was sponsored by Asics with wrestling shoes. This collaboration led to Asics focusing on running shoes, notably the Gel Lyte series. Which Asics running shoe is the best? Are Asics running shoes recommended for beginners? How far do you want to run? If you are fascinated in being able to run a marathon, you should look for a running shoe that has abundant cushioning and comfort, such as the Gel Cumulus. What surface are you going to run on? If you want to run on trails, an Asics running shoe with good grip is ideal to keep the foot secure, no matter the weather. 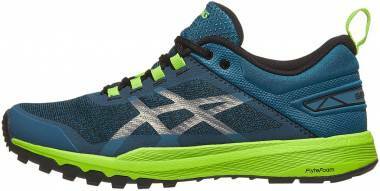 An example of this would be the Asics Gel Sonoma 3, an outstanding door-to-trail running shoe that gives the runner more control even while on the rugged terrain. What is your pronation level? If you are an overpronator, it would be best to select an Asics running shoe that is specifically designed to deliver the necessary arch support for excess pronation. The most popular choices would be the Gel Kayano 25 and the Dynamis. What is your foot shape? If you have wide or narrow feet, it is important that your running shoe will fit you comfortably, especially if you are a beginner that would need all the support and security. Most of the popular Asics running shoes come in various width profiles, as well as their other models, such as the Gel Sonoma 3 and the Gel Excite 4. Which Asics running shoes are good for plantar fasciitis? Plantar fasciitis is a condition that causes mild to severe pains in the heel of the foot. This happens when the plantar fascia, which is the ligament that connects the heel to the toes, strains. The excessive straining of this tissue band leads to weakness, swelling, and irritating, which may also affect the arch support. To help relieve plantar fasciitis, wearing a pair of supportive shoes is recommended. Runners could also find a pair of running shoes that would assist them if they have the condition. An excellent example of an Asics running shoe that helps with plantar fasciitis is the Asics Gel Nimbus 20. The shoe features the unique Heel Clutching System, which provides adequate support and helps relieve pain in the heel.